Heptanoic Acid is a fatty acid and is widely distributed in nature as a component of animal and vegetable fats. Heptanoic Acid is an organic compound composed of seven-carbon chain terminating in a carboxylic acid. It is an oily liquid with an unpleasant, rancid odor. It contributes to the odor of some rancid oils. 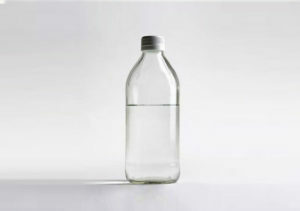 Plasticizers for laminated glass, tracer for butter etc. In the form of salts: for aqueous anticorrosion. As raw material for perfume, medicine and lubricating grease. In pharmaceutical gel: neopentylglycol diheptanoate. It is used to prepare sodium heptanoate, which is used as a corrosion inhibitor.